Posted August 22, 2018 by Vladica Stojanovic & filed under Best Of Sydney 2018, Eat. 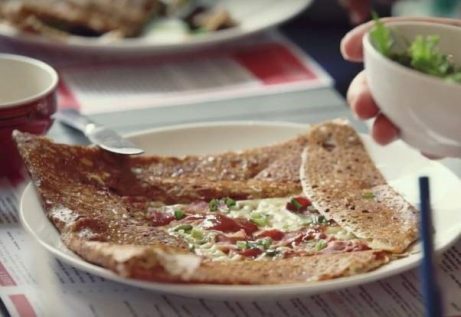 If you’re craving a savoury fix, the underappreciated savoury crêpe, known as a galette, is definitely a definite option, and no one does them better than the Four Frogs Crêperie in Randwick. With delicious simple fillings including mushroom, cheese, spinach, feta and ham, FFC’s galettes leave you feeling satisfied, yet your tastebuds desperate for more. The place is cosy and bright, with a huge blackboard depicting French and Australian bon ami sentiments and reminding you that dessert and cider are also available.